It’s official. Manchester City will take part in the 2018 International Champions Cup having been announced along with a host of other major clubs today. Joining City in the pre-season competition held in the United States this summer will be Real Madrid, Liverpool, Roma, Juventus, PSG and Sevilla. 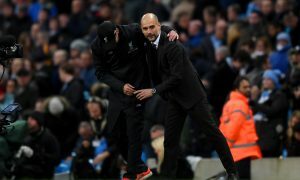 Some details have already been revealed, unofficially, about the ICC with City set to face Borussia Dortmund in Chicago on July 25, after meeting Liverpool on July 20 most likely at the MetLife Stadium in New Jersey. With the World Cup taking place and big players needing breaks afterwards, many of these clubs will be without their biggest superstars, which could see opportunities for youngsters, such as Manchester City’s Phil Foden, Brahim Diaz and the many who have been loaned out this season including Pablo Maffeo and Patrick Roberts.